The Engineer Reproduction Plant was the Army Corps of Engineers's first attempt to centralize mapping production, printing, and distribution.[when?] It was located on the grounds of the Army War College in Washington, D.C. Previously, topographic mapping had largely been a function of individual field engineer units using field surveying techniques or copying existing or captured products. In addition, ERP assumed the "supervision and maintenance" of the War Department Map Collection, effective April 1, 1939. Olympic support: In 2002, NIMA partnered with Federal organizations to provide geospatial assistance to the 2002 Winter Olympics in Utah. [dead link] NGA also helped support the 2004 Summer Olympics in Athens, Greece, and the 2006 Winter Olympics in Turin, Italy. ^ "Osama bin Laden Compound Raid". National Geospatial-Intelligence Agency. Retrieved July 27, 2017. 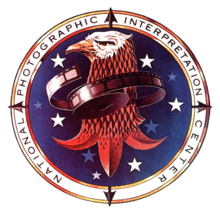 Wikimedia Commons has media related to National Geospatial-Intelligence Agency.